From the darling bistro kitchen decor complete with a pretty awning to the ultimate TV and entertainment room and useful design and layout, this house is so wonderful. 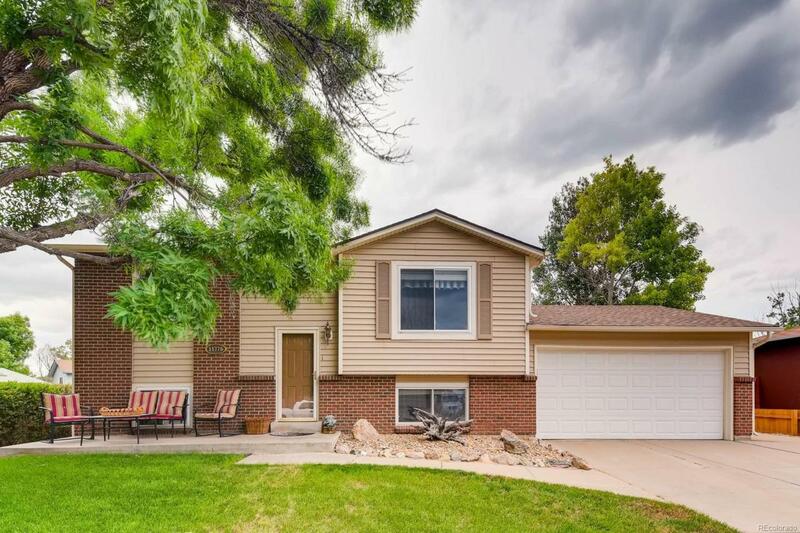 4 bedrooms with 1 full and 1 3/4 bath, this home close to schools, the recreation center, and lovely parks. Imagine gatherings on the newly painted deck, keep entertainment items under the deck with storage, a picnic table (included) and cozy nights around the fire pit area. You are going to just love the canopied outdoor room (the sellers watched movies in it). An extra large shed with included shelving has room for all your yard tools and toys. Like to travel? There is an RV parking area just for your RV. Your 2 car finished and heated oversized garage, the big front porch to enjoy your coffee on under the big tree in the front yard, make this is a great house to call home. All appliances are included as well as three wall-mounted TV's. Your home is ready for you! Make sure you see the visual tour.